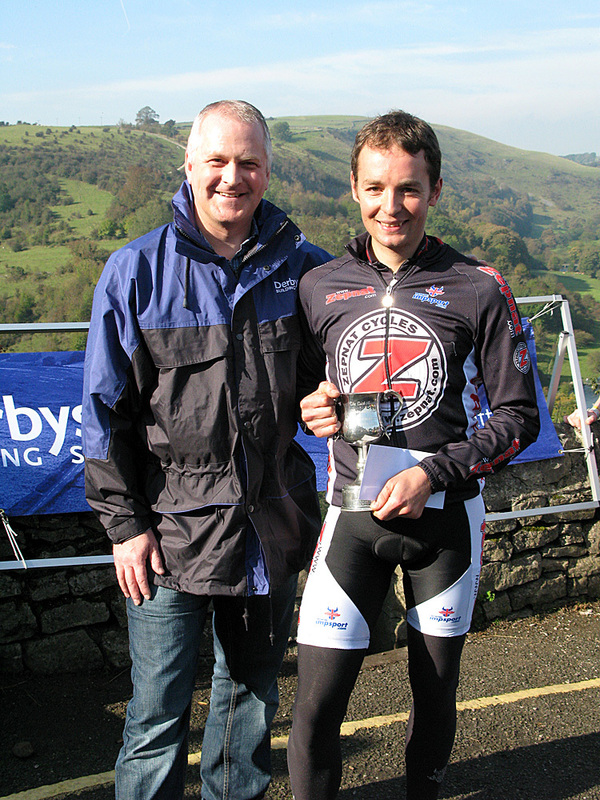 Under a pleasantly warm autumn sun, James Furniss (zepnat.com-Impsport) took the honours over the 675 yards of the Monsal Dale Hill climb on Sunday October 12. 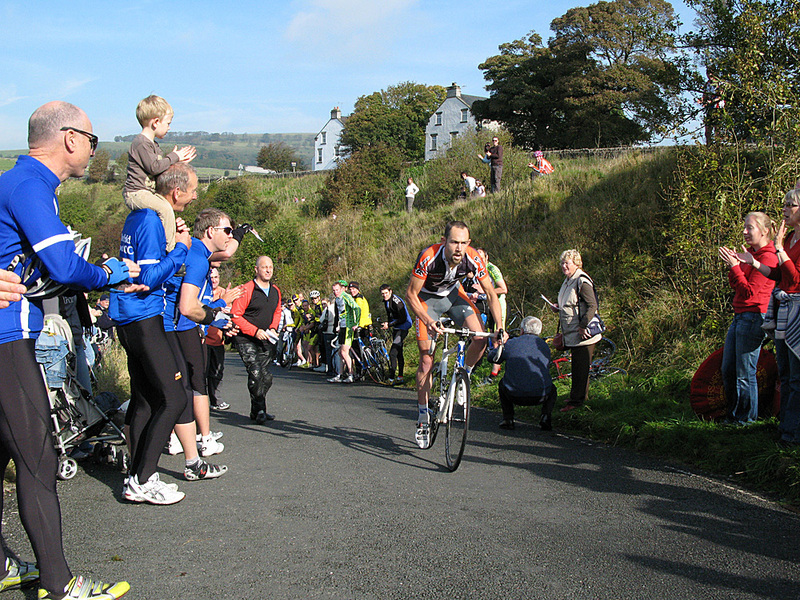 Starting mid-field, Furniss’s time of 1-29 held up from the challenges of second placed Jim Henderson (Southport CC) and third placed Kit Gilham (Kinesis UK) who were the last two men off respectively of a listed field of 75. 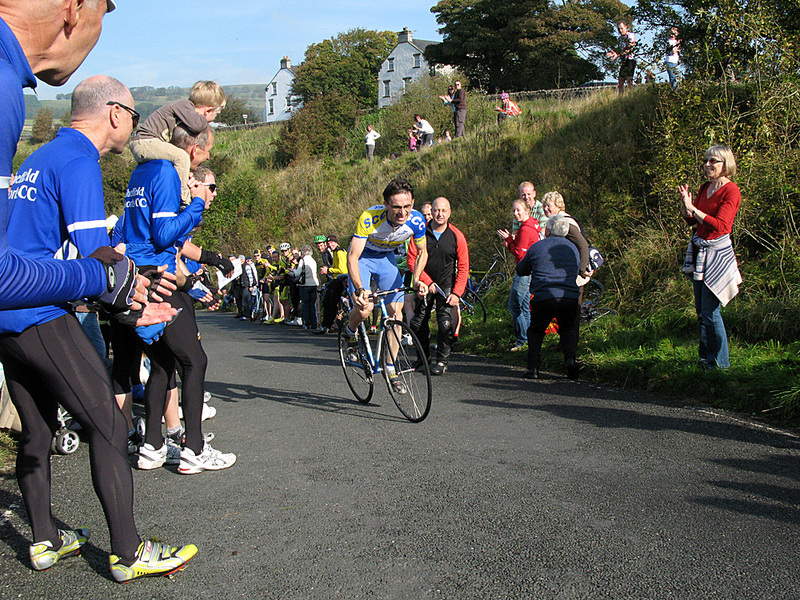 The morning’s event was witnessed by an enthusiastic crowd that lined the hill and it’s amphitheatre-like finish by the cafe at the head of the dale. 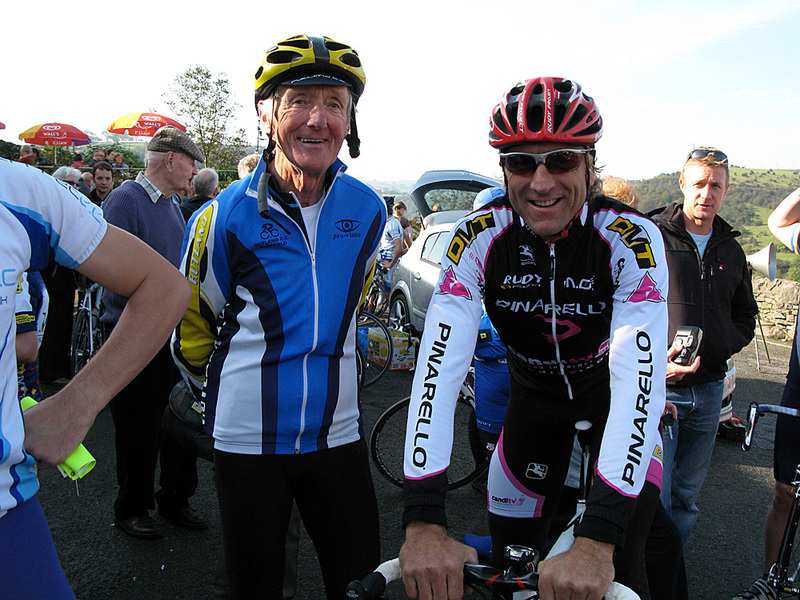 Kevin Dawson and family were amongst them along with the hill record holder Malcolm Elliott.